Bobby Lu Likes Deep Dish? 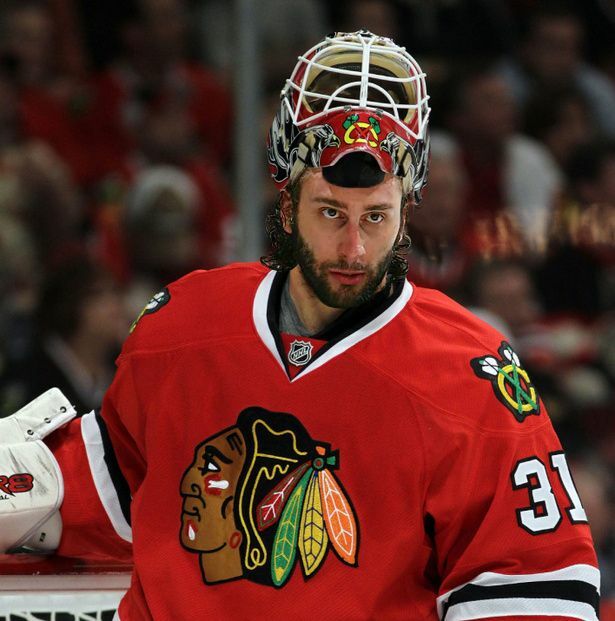 Does it make me a bad 'Hawks fan if I kinda want to see this next season? I mean, come on, how great would this playoff series be? And no, BobbyLu can't wear #1 in Chicago, that's been retired for Glenn Hall since the '80s. There is an epidemic spreading throughout the sports world today known as SBD, Superfluous Blue Disease. The symptoms include changing your color scheme to include blue, adding blue to uniforms when it isn't a team color and, of course, blue fauxbacks. 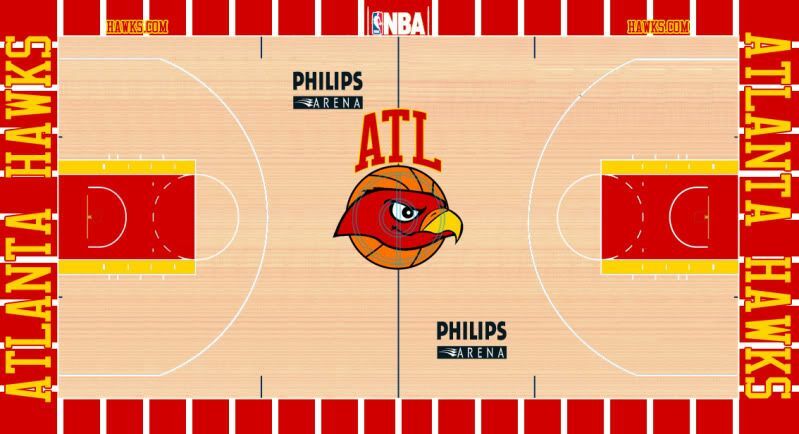 Now the Atlanta Hawks have a long tradition wearing red, but the accent color in days of old was yellow. When they changed to blue a few years back, a great color combo - red, yellow, white - was lost in the NBA. With that in mind, I decided to ditch the blue, bring back the yellow and update their modern mess of a current uniform. 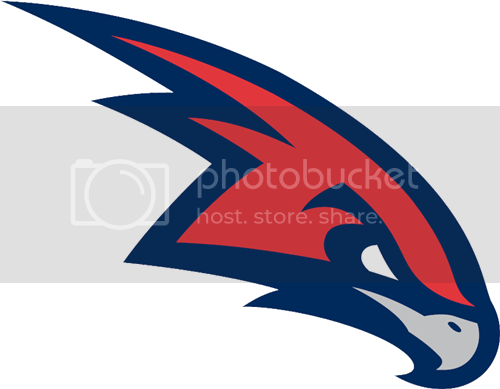 Based on the St. Louis Hawks logo from above, I gave the Hawks an update from their really ugly modern logo to a very classic cartoon logo (although including this with the right colors wouldn't be bad either). Once again, we're going back in time to an era Pistol Pete knew well. Obviously not a complete throwback, these unis combine a unique, yet classic striping pattern with the new logos, font and color scheme. And while I thought about going back to 'Nique era unis, they're just too ugly, haha. With the road alternate, I decided not to go with yellow as the main color because a yellow basketball uniform looks terrible. Instead, I witched out white for yellow and added ATL to the front. A bit ostentatious, perhaps, but fun none the less. 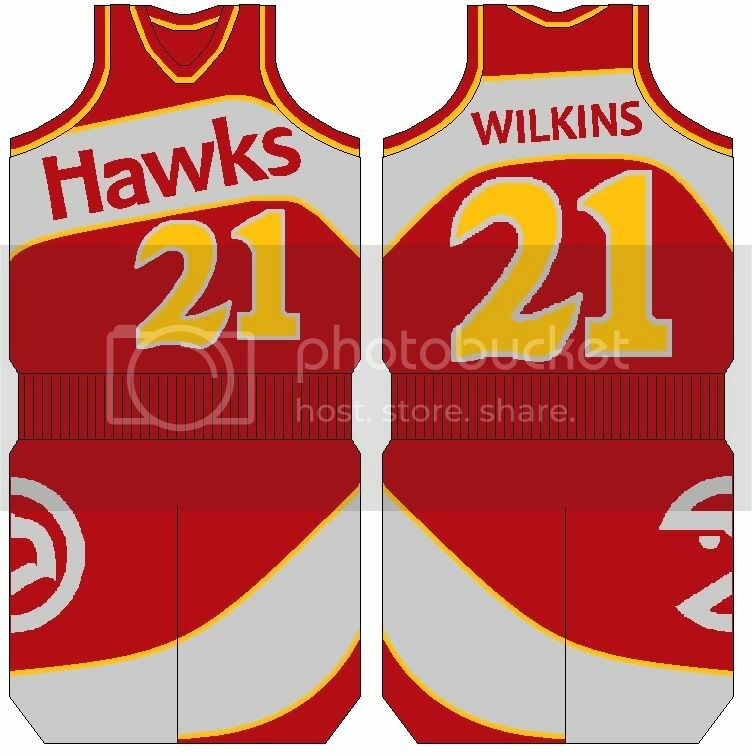 Well, that's it for the Hawks, I have a few more NBA designs ready and waiting to be released but many of them (including this Hawks redesign) are headed towards are larger project that will be featured on UniWatchBlog.com during an upcoming weekend. Until next time, leave it in the comments.